The user blocked me on skype after receiving 200k. Was going to go in increments but I suppose not. 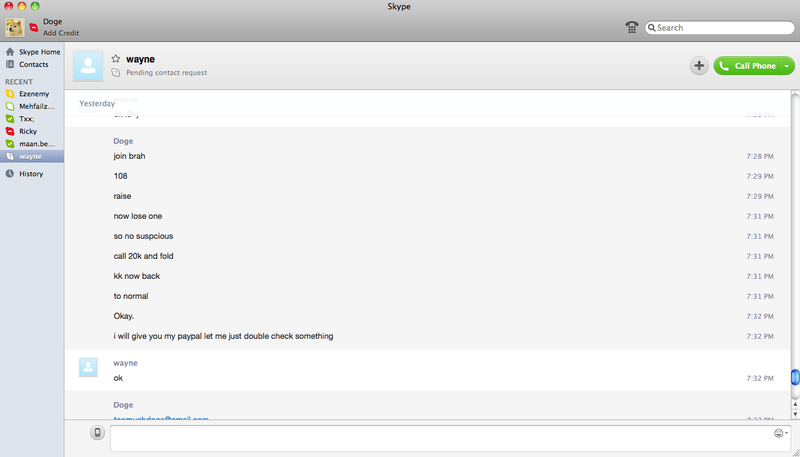 Have the skype log right here. Feel free to add to see more of the conversation. Can provide the proof of giving 200k in private, any mod feel free to add me on skype. Don't want to reveal the account names. Mind if I grab an unedited screenshot without the doge stuffs. I don't think you edited any chat records or anything it's just duh rules. 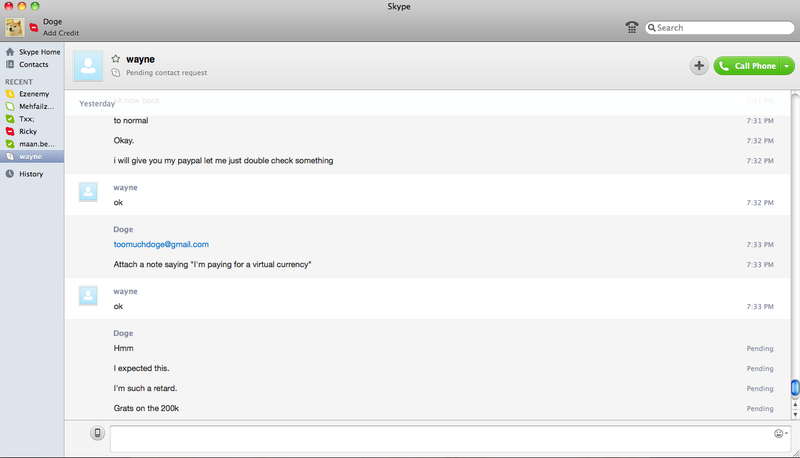 Luckily I managed to have the convo on my other comp. Last edited by Doge; 10-03-2013 at 05:16 AM. He blocked me when I refused. Can provide logs, but no screenshots. Yup, said same thing to me. EHMARGERD I USIN DADZ PAYPAL.